Wandering along the canals while wondering how to approach The Canal and River trust, I thought it would be good to make something to show them. Willow grows along the canals and rivers naturally, most Willows like wet feet. While looking and thinking this surreal apple comes floating along in the canal. So the idea for Float was born. 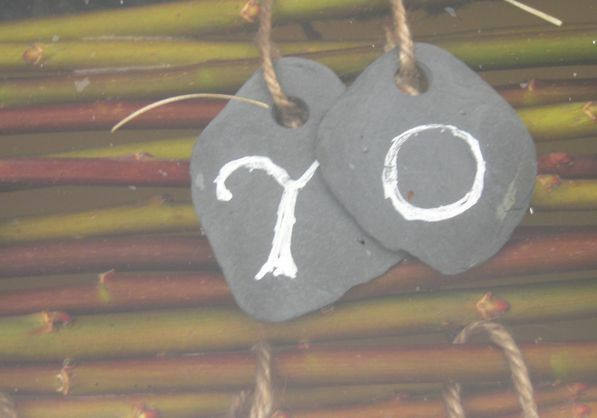 Willow is such a brilliant material, you can make so many things with it. It has evolved by creating lots of growing hormones, rooting powder used to be made from Willow. It grows quick back after cutting it back, even when you cut it back to the ground. Willow is on the menu for many animals so to survive all this eating it just grows. 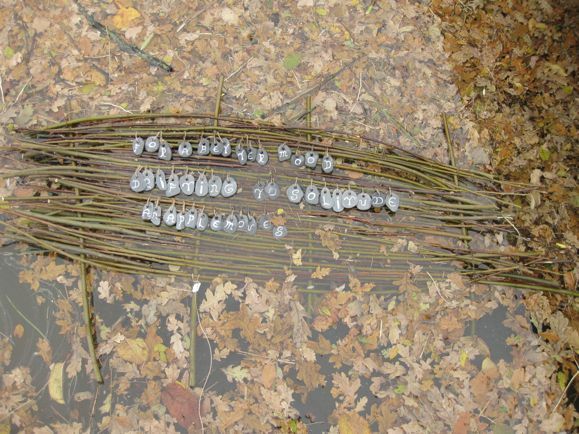 I made a Willow bridge by twisting some Willow branches together, which will grow one day as one. The surrounding branches were cut to make in a floating piece of art. Taking and giving while knotting the bridge together with jute. The knotting can be very relaxing almost like a therapy to work out all your problems in your head by drifting away like the apple going where ever the streaming takes you. The towpath along the canal has a walking trail called the Weavers Way. 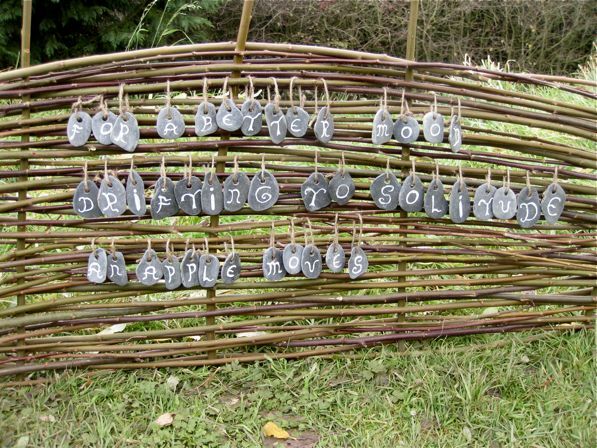 So the Willow branches were woven into a kind of fence. An Apple would have been lovely but hard to make into a drifting poem. 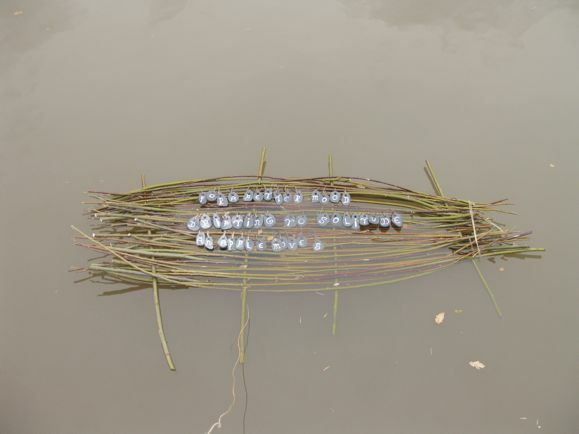 Now the poem would be a problem which material to use to make it float, a floating poem as part of my many land-art poems. I use slate to write on but is a bit heavy. The poem became a Haiku with 5-7-5 syllabus in 3 lines. Autumn created one big drifting circus on the canal with fallen leaves. 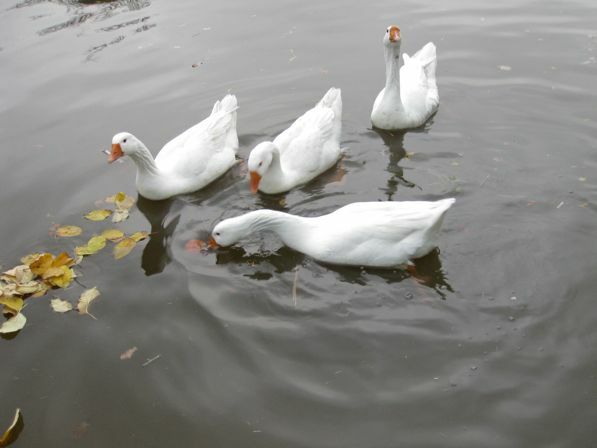 Float with leaves and apple into the water but leaves and apple float faster than willow and slate. 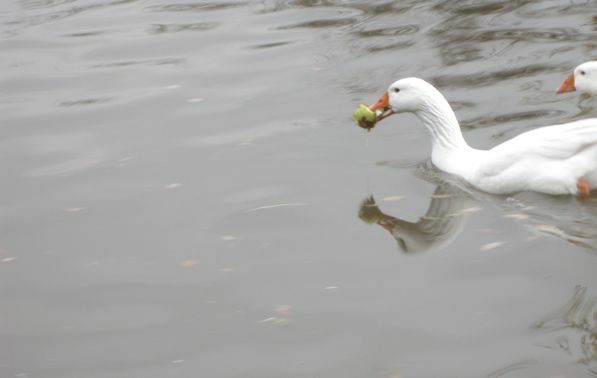 The apple became a party for the geese, how to eat a floating apple. Leaves and float did meet again at the lock, than some final preparations to make the float look more like a boat and the final FLOAT floats away on the canal. The Canal and River Trust and boater will not like to see more debris floating in the water. The propellers on the boat get stuck with all these bits and pieces around them. So Float ended up as a fence and in the future will become a living fence as the Willow starts to grow. 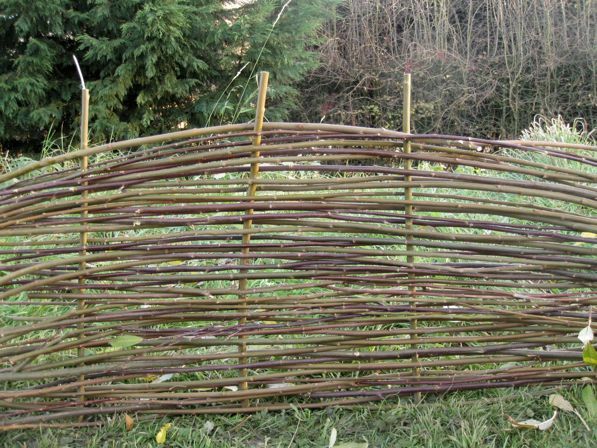 Willow is very good material for free trees to plant as land art for the Bridge project, it is like growing art material for weaving willow sculptures or arty baskets. No matter how much you cut it it will come back and give you more material for art. 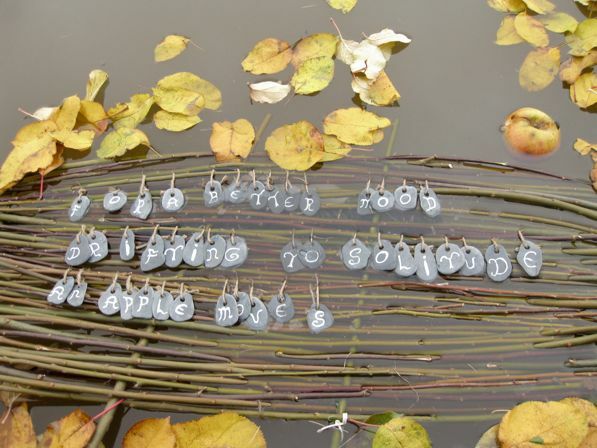 So became the beginning of planting land art with poems. Now put it all together for a good proposal towards the Canal and River Trust to get permission to do the work. The material is free, my time is all for promotion of Wånderlust the floating gallery. I am therefor very hopeful to get the permission, to prevent that all them wonderful young trees will get mowed or trimmed to the ground.